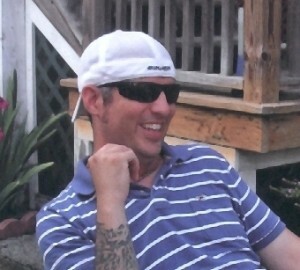 Oswego – Richard J. Lee, 38, a resident of County Route 8 in the Town of Minetto, passed away Tuesday morning, at the Oswego Hospital. Richie was born in Oswego, and was a life resident. He attended Oswego High School, and had been employed with the Novelis Corp. in Oswego, for the last 12 years. Richie’s family was the most important thing in his life. His greatest joy was watching his three boys grow and excel in all the sports they played, especially hockey. He also loved all the time he was able to spend with his three brothers throughout the years. Richie enjoyed spending time with his friends, attending outdoor concerts, and many other activities. He is survived by his wife, Heather E. (Sweet) Lee of Minetto; his three sons, Noah D. Lee, Addison M. Lee, and Jayden J. Lee, all of Minetto; his parents Jack E. and Linda L. (Rucynski) Lee of Oswego; his three brothers, Jack (Elaine) Lee of Oswego, Robert (Serenity) Lee of LaFargeville, and Brian (Katie) Lee of Oswego; his parents-in-law, Ronald and Susan Sweet of Oswego; and many aunts, uncles, nieces, nephews, cousins, and friends. Funeral services will be held at 10:00 Friday, in St. Stephen’s Church. Calling hours will be held from 4:00 to 7:00pm Thursday, at the Dain-Cullinan Funeral Home, 112 East Second Street in Oswego. In lieu of flowers, contributions can be made to his sons, Noah, Addison, and Jayden Lee, c/o Lou Anne Rucynski-Coleman, 55 West 6th Street, Oswego, NY 13126. The family is in my prayers,nothing harder to go through then someone who has left way to early in their life.Remember absent fron the body is present with the Lord and someday we will see them againMy prayers are with you all . My thoughts and prayers are with your family. Since loosing my husband in 2009, I can honestly say I know there is no consolation for loosing a spouse and your heart is breaking into a million pieces. Please know that others are praying for you and your children.